E.R. Murray writes novels for children and young adults as well as short fiction. 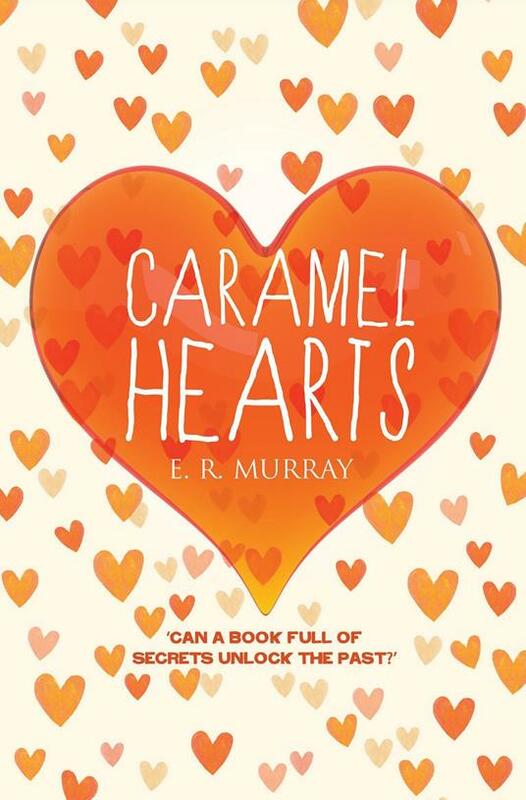 Caramel Hearts (Alma Books) is her first book for young adults. Her middle grade debut The Book of Learning – Nine Lives Trilogy 1 (Mercier Press) was chosen as the 2016 Dublin UNESCO City of Literature Citywide Read for Children, andThe Book of Shadows – Nine Lives Trilogy 2 will be published in September 2016. Elizabeth lives in West Cork, where she fishes, grows her own vegetables and enjoys plenty of adventures with her dog, Franklyn. I am delighted that Elizabeth asked the TBR Pile to be part of her blog tour for her new book Caramel Hearts (there are links to the other tour stops below). Caramel Hearts, a young adult novel, was published on 19 May and is already getting lots of well-deserved attention and some great reviews. I will be reviewing it later, but for this part of the blog tour, Elizabeth has agreed to answer some questions about writing and publishing. Thank you so much for agreeing to answer these questions, Elizabeth. I love The Book of Learning (and am delighted at how well it has been received) and am looking forward to the second one of the trilogy. What made you write Caramel Hearts between The Nine Lives books? Aw, thank you! That’s really nice to hear, I appreciate your kind words. I actually wrote both books before securing a book deal so the order wasn’t intentional; I was writing them not knowing if either of them would ever get published and when I began Caramel Hearts, I’d actually shelved The Book of Learning and thought it would never be read. The Book of Learning was written first and although it generated a lot of interest from publishers, I didn’t secure a publishing deal. After a while, I decided that it was probably the book that got me an agent and that it was time to write something new. I had put so much into The Book of Learning, I had to write something different in style and tone. If I’d tried to write more fantasy, I was too close to Ebony Smart and the other characters and I knew it wouldn’t work; it wouldn’t be as good. I don’t remember where the idea came from for Caramel Hearts; I wanted to set something in the North East of England and I wanted something around food. I find food so emotive, I think it transfers perfectly to the page. I remember a random twitter chat about handwritten cookbooks and I was invited to the National Library of Ireland to see a sixteenth-century cookbook with ‘frosted plums picked under a full moon’ and other wonderful ingredients. I was enchanted by its voice and the idea grew from there; Liv Bloom and her struggles took flight. When this book was finished a year later and sent on submission, I peeked at The Book of Learning again, just to fill that void you feel when you send work out into the ether. I had a chat with my agent, Sallyanne Sweeney, and I decided it was worth one more try. It was signed in a three-book deal with Mercier Press, and Caramel Hearts was signed by Alma Books a few months later. All the graft was worth it; two book deals within six months and four books due on the shelves – it was beyond my wildest dreams. Did you have to do much research for Caramel Hearts, or is it from your imagination? Caramel Hearts has an autobiographical element because I grew up in a family affected by alcoholism. This meant revisiting some carefully buried memories and emotions and although it wasn’t particularly pleasant, it was necessary to get the tone and character behaviours right. I wanted the book to resonate with anyone affected by addiction, so this was key. However, none of the events or people are in any way linked to my own life, just the emotions. There was a lot of research for the recipes. I cooked every one of them – and many more – to make sure they worked; this means some of the disasters in the book are real too! The recipes had to work not just in a baking sense, but as part of the plot. People have a strong reaction to food and if the response from my testers wasn’t relevant to the emotions that Liv Bloom or the other characters were feeling, then that recipe didn’t make the cut. The section in London required lots of meandering in Greenwich taking notes and photos, as well as riding the tube, to make sure the setting was accurate. However, I don’t do excessive research; just enough. For me, a book is the emotional journey. This is what I focus on and then I fill in the details later. Was it difficult to make the change from (and back to) writing for children to writing for young adults? It was easy enough to switch to young adult as this was the story I needed to write at the time. But returning to the Nine Lives Trilogy with The Book of Shadows (out September 2016) was really difficult. This might be because I hadn’t written a follow-on book before, or because I hadn’t started a book from scratch under contract before, or because I knew I only had six months to write and redraft it for my publisher. I’ve heard people say that you shoudn’t switch genres or age groups, and I’ve done both; presonally, I find it very freeing. I really believe you have to write the story that you’re passionate about at that time. I don’t know how switching will impact the readership, I guess we’ll see. I just hope that each book resonates with its readers, whatever age group or genre that may be. Do you plan any books for adults in the future? It’s funny you should ask that … I’ve just started the final book in the Nine Lives trilogy but I’m itching to get to work on a book for adults. I have the first draft sitting in a file, and this is my next project once the trilogy is complete. It’s calling me. I can’t ignore it. You are very hard-working – writing quite prolifically, doing talks, being on social media – and seem to be treating the job of writing very much as a business (and I heartily approve of that). Is this naturally the way you work, or have you set yourself goals by being your own boss? I’ve always been a grafter and I don’t know any other way. I grew up in a poor family and was the first to finish school. I really wanted an education – I had an amazing primary school teacher who drummed this idea into me – so I put myself through college and university. I even worked full time while studying for my degree full time. I function better when I’m busy, and I love change and variety. For me, routine brings lethargy and negative energy. Movement, travel, different experiences and cultures, meeting people, learning; this is what drives me and having several projects on the go makes this happen. I’ve always got a lot done and it seems to work for me. But I also believe we should live life to the full, so I’ve always played hard as well as working hard. I guess I have a big appetite! Admittedly, I do sometimes wish I knew how to relax a bit more. What are your goals in your writing career? To write good books that I’m proud of, that readers enjoy. Excellent answer! And I think you are fulfilling that goal very nicely. I’m always motivated to write and although I have my favourite spots (plural, because I like change), I can write anywhere. If you want to write, if you’re passionate about writing, you’ll make time. Do you listen to music while you write? What? I write in silence. I live in the countryside so my backdrop is cows and birdsong, tractors and the occassional chainsaw. If songs have lyrics I accidentally write them down, and any form of crescendo in a tune pulls me out of my concentration. I can sometimes improve scenes by listening to relevant music while editing, to get the tone, but this is rare. I would love to be able to listen to music while writing! Do you use any editorial help on your books before you submit them? I don’t pass my books to anyone until I think they deserve to be read. I believe time is our most precious commodity, and I wouldn’t want to waste anyone’s time. I write really messily, with no plotting or planning, so there are huge leaps between each draft in terms of improvement. I might give people paragraphs to check details; my husband checks all my sea scenes, for instance. But I only hand the whole manuscript over when I know I can’t take it any further because I’m too close and can’t see the gaps or errors. This is usually around draft five. I hear a lot of tales from writers about bad experiences with editors. Have you disagreed with any of yours, and has that caused problems? I’ve been really lucky as all the editors I’ve worked with so far have really understood what I was aiming for and helped me to get there. Any disagreements have been completely minor and easy to fix; usually, there was a little more clarity needed. A change or addition of a word, a rejig of the phrase so it made more sense. The editing process has been really enjoyable and I’ve loved seeing the books blossom into what I wanted them to be. The books are with different publishers, so it was a different editorial team and each worked differently. But that’s great for someone who doesn’t like routine! It feels kind of the same situation in a way, seeing as I’ve changed age group and genre – it means that a lot of the readership will be different. I have learned though that the marketing needs to be contained – I’ve prepared my blog tour posts early for when surprise extras pop up, and I’ve given myself a set amount of time to concentrate on the marketing. Which do you prefer, writing or editing? Both. I love the freedom of a first draft; I write organically and produce a first draft in a month every time. I don’t edit or change anything and write in a really focused way. But I love the logical side of editing, trying to piece the bits together. I particularly love deleting whole chunks of unnecessary text, and fusing the relevant stuff that’s left. Do you read a lot of books in the genres you write in? How essential do you think this is? I read lots of books in both the same age group and the same genre, and I think its essential. But I also read a pile of other stuff and as widely as possible; literary fiction, short stories, historical fiction, horror, travel writing, nature writing, picture books. If you write, you have to read – and it should be a pleasure. If you don’t read, why are you writing at all? Who or which sites are your go-to writing/self-publishing advice gurus? Writing.ie has a wealth of information from a long list of writers in all genres, so this is a great resource for writing advice – I do their social media so I read all their articles! But I get most of my writing inspiration through reading books and attending festivals or events. Online, I like to fill the creative stores with other media and forms; art, theatre, film, documentary, Ted Talks, animation etc. Brainpickings is a great site for all kinds of inspiration and I get a lot of exciting/unexpected links and recommendations from twitter conversations. I like people that I like to show me what they like so I can investigate! I’ve been following you on Twitter for some time. You are very active and very supportive of other writers. You also do a lot of readings and events. What proportion of your time, would you say, is spent on the social side of being a writer – would you still do as much if you didn’t love it? I spend most of my day alone and in silence, with just my head for company, and this is why I love the events and also social media. They bring an essential human element to my life. Meeting readers and other writers provides the balance to those long hours and helps to mix things up a bit. When I go to festivals, I like to listen to other writers and attend events; it’s another way to build up your skills and help understand your own creative process. Social media is a great way to establish and maintain friendships. I do enjoy it, but I’d use it even if I didn’t. It’s a great tool for writers; you make contacts and reach your audience – and it’s free. Twitter. It’s fast, succinct, visual and easy for information sharing – and you can still have secrets via DMs. How cool is that?! Are you a writer for life, do you think? Or are there other things you’d like to do? For life, I hope. I have so many books I need to write! I’ll always do other things as well as I’m too inquisitive and hyperactive not to. I like variety and change; I thrive on the new and unexpected as much as I do on developing my writing skills. Thankfully, being a writer has so many elements – writing, editing, events, teaching, critiquing, etc. – it always stays fresh, and seeing as all I need is my laptop, I can always travel. Why ER Murray and not Elizabeth Murray? Simply because Elizabeth Murray is a reasonably popular name and so when I started my social media. I was looking for a name that would stand out. Also, when you are called Elizabeth, no one calls you by your name; I get Liz, Lizzie, Eli, Liza, Bet, Bessy, Betty, Lizbet, Beth … If I had Elizabeth on my book covers, no one would ever find my books! When I use my full name, I go by Elizabeth Rose Murray. Quite a variety of reading matter, there! Elizabeth – thanks so much for your thoughtful answers. You’ve been a joy to work with and very organised – I’m sure your publishers think so! Very best of luck with Caramel Hearts and the Nine Lives Trilogy. I’m at the end of the blog tour. Here are the links to the stops on the way here. YA Fictionados – some great questions on Caramel Hearts and what it’s about. Teens on Moon Lane – ‘Let them eat cake’, a guest post by Elizabeth about the recipes in Caramel Hearts. Girls Heart Books – ‘Caramel Hearts and Food in Fiction’, a guest post by Elizabeth on food in books such as The Railway Children and Hansel and Gretel. 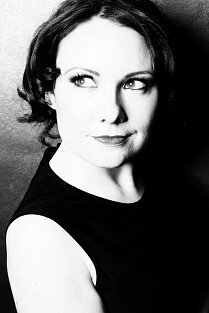 Wee Bit Wordy – an interview with Elizabeth about writing, and a cracking review of Caramel Hearts. Writing.ie – an article by Elizabeth on ‘Caramel Hearts: changing genre and age group’. Tales of Yesterday – ‘Caramel Hearts: what’s in a name?’, a guest post by Elizabeth about how she chose the title for her newest book, and the various things it was called along the way. You can find out more about Elizabeth Rose Murray on her website, ermurray.com, and find her on Twitter @ERMurray, Facebook and Instagram @elizabethrosemurray. A lovely interview and having met Elizabeth on Saturday, I enjoyed it all the more. I have both books now, my daughter read the first and I bought the second yesterday. Looking forward to reading both. Thanks, Lorna. Elizabeth was very generous with her time in answering all these questions. I have read (and loved but not yet posted a review of) The Book of Learning and have Caramel Hearts on my TBR pile. I'd like to say I will try out the recipes, but most days I can barely cook myself dinner, so I don't think it's likely to happen any time soon! I'll enjoy reading them though. I expect Kate will have a go at some of the recipes? I’d say she will. She hasn’t been reading as much lately, busy with the new pup etc but once she gets her holidays, she’ll have more time.